Until today I did not know Alexis Lemaire , the human calculator, but I read an article about it that surprised me so much that I have thought about putting some tricks to get calculate the square roots of head, ie mentally. What Alexis has no name, at least to me it seems so impossible to get it and I can not imagine how has been able to calculate the thirteenth root of a 100 digit number!!! 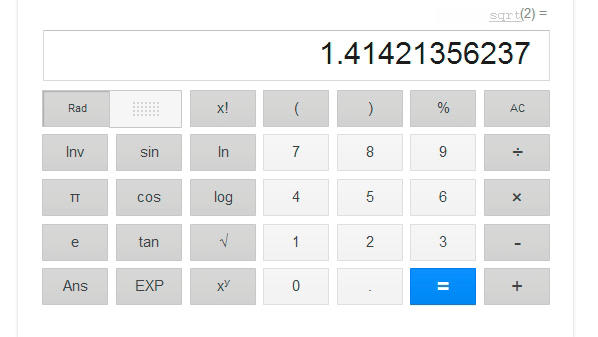 in only 3.6 seconds and the last time in the London Science Museum, calculating the thirteenth root of a 200 digit number, mentally of course, in less of 2 minutes to correctly give the result of 2,407,899,883,032,220. But back to the techniques we use to find the square root of the head of a number. 1.- The first and most effective will be remember perfect squares, technique used by Alexis to its challenges. Obviously we will not be able to memorize so many numbers as he does, but we can start with the first and those simple as multiples of 10. Number that corresponds to the one we were looking for. Thus the square root of 484 is 22 . 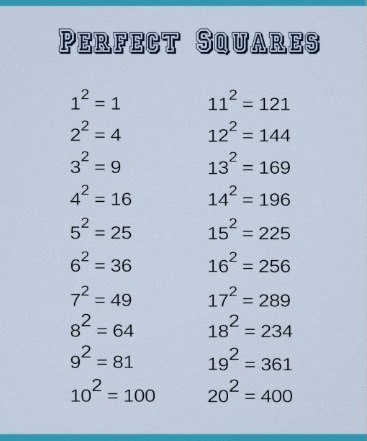 And there it is, our square root was 129. Obviously not intended to reach the level of Alexis Lemaire , but perhaps this is sufficient to what we find ourselves in daily life . This entry was posted in Help Kids Learn Blog on May 6, 2014 by Javier. Calculator Square Root is already on facebook, and hopes you share it with your friends so that this utility can be used by more people. Our first goal is to get 50 friends on Facebook to continue including other utilities that you recommend us. Meanwhile we hope your suggestions of other tools that can be used in the education of our children, any similar utility for divisions?. Also, you can leave comments for improvement of this utility, opinions and doubts about this tool. Did it run fast or the site was very slow? We wait your opinions, thanks. This entry was posted in Help Kids Learn Blog on February 20, 2014 by Javier. The best way to learn to do something is by practicing exercises of that matter resolved. We offer you this application to do that. With this utility you will have all exercises of square root solved that you want, because you are who put the exercise and the application will solve it step by step. 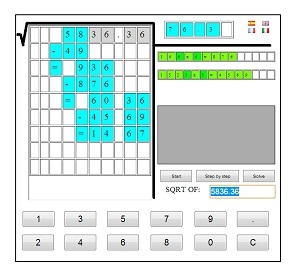 In this way you can set the example and check that you have correctly solved the exercise seeing the solution in the screen. 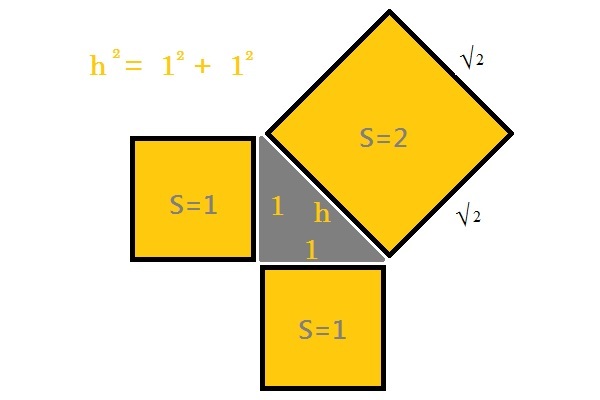 Do not forget that another good way to learn and practice the square root is to put your exercise and checking the result yourself calculating the square of the result and adding the rest resulting thus gain speed in your addition and multiplication as well. This entry was posted in Help Kids Learn Blog on February 3, 2014 by Javier. We know how we can calculate by hand the square root, and we also know that the result of the square root of a number X is other number whose square is X. Then, the square root of 2 is the real number whose square is 2. This makes the square root of 2, possibly the first irrational number employee in the history of mathematics, remember that an irrational number is any real number that can not be expressed as a fraction m / n.
As curious to note from wikipedia, without going into concepts that are beyond the middle school level discussed in this blog, is that its value has been calculated up to the incredible number of 137 438 953 444 decimal places by Yasumasa Kanada’s team in 1997, but, In February 2006 this record was eclipsed with the use of a home computer (200,000,000,000 decimal places). This makes him the second number, after π, where more decimals has been calculated. This entry was posted in Help Kids Learn Blog on October 24, 2013 by Javier. What is the square root of a number? Then, the square root of a number is a value, that, multiplied by itself, gives the number. This entry was posted in Help Kids Learn Blog on September 25, 2013 by Javier. The symbol of a square root is in the Extended ASCII Codes. Try holding down alt and typing 251 on the numpad. This entry was posted in Help Kids Learn Blog on September 23, 2013 by Javier. Trick to multiply faster than a calculator. This entry was posted in Help Kids Learn Blog on September 16, 2013 by Javier. The light from the Sun looks white. But it is really made up of all the colors of the rainbow. We can see the different colors of the spectrum by splitting the light with a prism. The spectrum is also visible when you see a rainbow in the sky. A prism is a specially shaped crystal. When white light shines through a prism, the light is separated into all its colors. The reason the sky is blue has to do with a concept called Rayleigh Scattering. Let’s say we have a gas, and we shine light on it. The light will hit the gas molecules, and get absorbed. 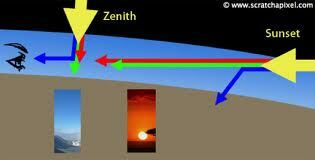 Then, the gas molecules will emit the light back out at the same wavelength (color! ), but in a new direction. Interestingly enough, blue light (shorter wavelength) gets absorbed more than red light (longer wavelength). This scattering of incoming light is Rayleigh Scattering! Have you figured it out yet? Now imagine the sun, shining light towards the Earth. Remember, this is white light, which means it contains light of all visible colors at once! As the white light from the Sun hits the Earth’s atmosphere (a gas! ), the molecules absorb and emit the blue light, and scatter it all around. So when you look up at the sky, you’re seeing all of this scattered blue light. But why is the sky paler near the horizon? At the horizon, light has to pass through more of the atmosphere, and in the same way blue light is scattered towards you, it ends up getting scattered away again, and so the other wavelengths are the ones that get through, since they are less affected by scattering. This entry was posted in Help Kids Learn Blog on September 11, 2013 by Javier. This entry was posted in Help Kids Learn Blog, Uncategorized on September 2, 2013 by Javier.